On February 24, 2017, comedian Jordan Peele made his directorial debut with the critically praised and beloved “Get Out” (2017). The film ended up grossing a gargantuan $255 million (off of a $4.5 million production budget) and winning the Academy Award for Best Original Screenplay. 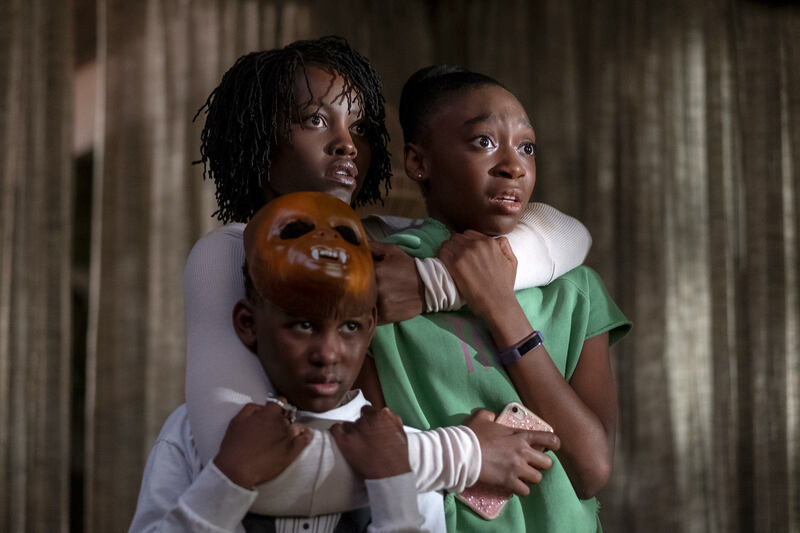 On March 22, 2019, Jordan Peele made his sophomore debut with “Us” (2019). 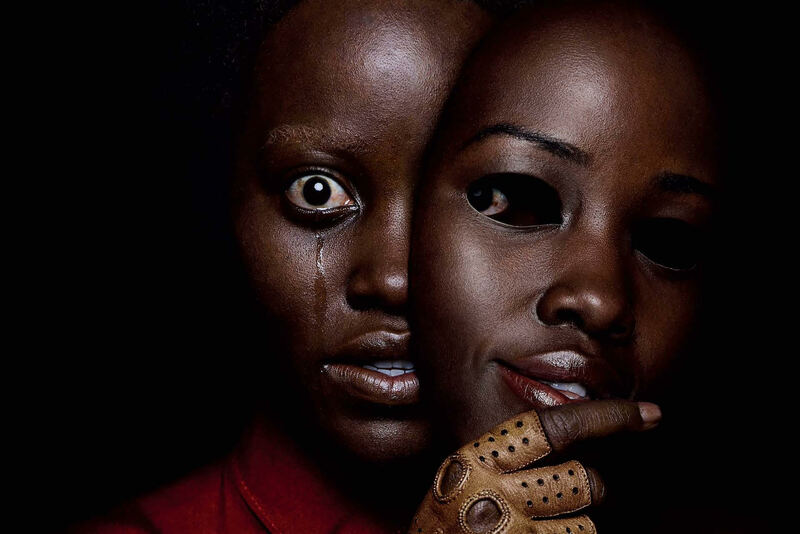 In addition to directing, Jordan Peele wrote and produced the film alongside Ian Cooper, Sean McKittrick, and Blumhouse Productions founder, Jason Blum. “Us” (2019) tells the story of Adelaide Wilson (Lupita Nyong’o) who, accompanied by her husband Gabe (Winston Duke), daughter Zora (Shahadi Wright Joseph), and son Jason (Evan Alex), returns to her childhood beachfront home. When night descends, four mysterious red-cloaked figures show up at the house, forcing the Wilsons to fight for their survival. When they finally learn who the cloaked figures are, the Wilsons are horrified to find that their attackers are duplicates of themselves. 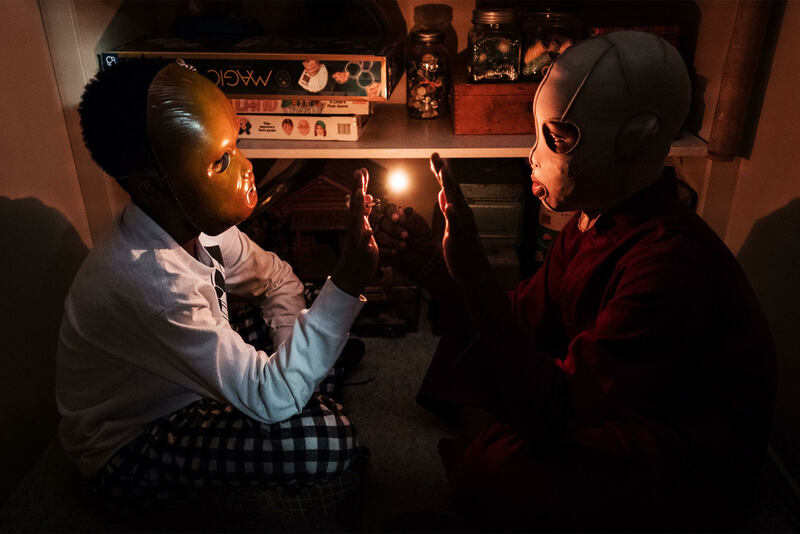 In “Us” (2019), Peele tackles the interesting and complicated themes of privilege, duality, and facing our inner demons, all of which are intriguingly and masterfully executed. Peele’s undeniable directorial and writing talents shine brightly in his film. As was the case in “Get Out” (2017), Peele layers foreshadowing elements throughout the film. Some of these details are so clever, subtle and well-engineered that Peele comes across as more of a seasoned director and screenwriter than one who just recently made his directorial debut. The direction and intricacy are balanced perfectly by an incredible soundtrack, an underrated aspect in most films, especially in the horror category. 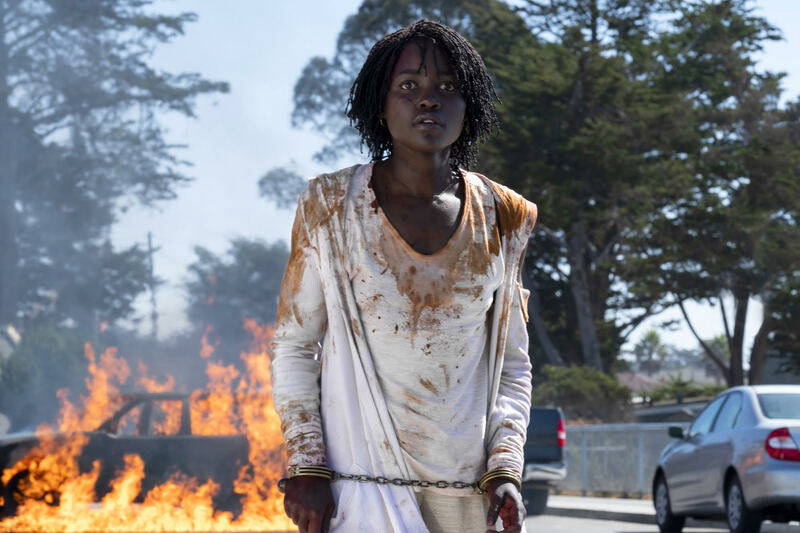 Composer Michael Abels, who also made his debut with Jordan Peele in “Get Out” (2017), returns for “Us” (2019) and creates a phenomenal score that strengthens many scenes throughout the film. The cinematography and editing are also both on point. A major highlight in “Us” (2019) is the outstanding acting. Academy Award-winner Lupita Nyong’o delivers another award-worthy performance in her portrayal of Adelaide Wilson, as well as in her vastly different duplicate character, Red (pictured above). Winston Duke knocks it out of the park as Gabe Wilson, managing to constantly shift between his comedic role as the father and his dark, intense portrayal of his red-clothed murdering doppelgänger. Both child-actors, Shahadi Wright Joseph and Evan Alex, do a terrific job and have a likable onscreen presence. Finally, Golden Globe-winner Elisabeth Moss and comedian Tim Heidecker have fantastic turns as the Tylers, Kitty and Josh, a couple who are friends with the Wilsons. Unfortunately, “Us” (2019) is not a perfect film. The writing in the movie is almost too complex. As a result, it may take multiple viewings until a full understanding of the story can take full shape, an effort that most people might not want to undertake. On the infrequent occasions when the film offers some exposition and clarification, you still are left confused and questioning more things. There is an argument to be made that it’s not a bad thing for a filmmaker to opt to leave a lot of questions unanswered and make the audience use their imagination to connect the dots, so this idea of the film being “too complicated” is up for personal interpretation. “Us” (2019), like “Get Out” (2017), received constant praise and massive box office success. The motion picture currently holds a 94% on Rotten Tomatoes and 81% on Metacritic. 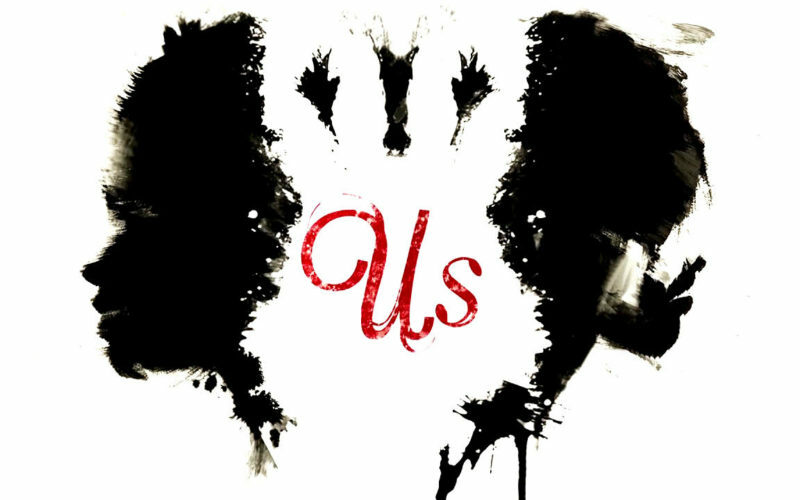 In its opening weekend, “Us” (2019) made a grand total of $70.3 million (off of a production cost of $20 million) and is currently holding the record for highest opening in 3 categories: original R-rated film, original live-action film in March, and original horror film. 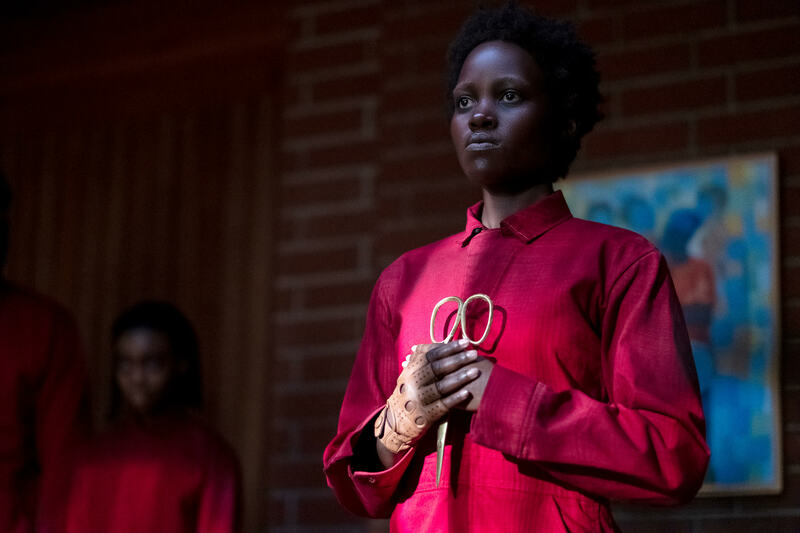 At the end of the day, Jordan Peele has managed to beat the sophomore jinx and create an inventive, creative, scary, and, above all else, enjoyable film upon which his fans can feast their eyes. My review for “Us” (2019) rounds out at 83%. The film may not be as good as “Get Out” (2017), but it is still an excellent addition to Jordan Peele’s résumé and the horror genre, as a whole.